Hugo practises in all areas of Chambers’ work. He appears frequently in trials and appeals in the High Court, the Competition Appeal Tribunal and the Court of Appeal, and in arbitration. He acts and advises on a range of commercial issues including banking, insolvency, insurance, and the conflict of laws, and on competition and regulatory disputes ranging from follow-on damages to excessive pricing, and from pharmaceuticals regulation to State aid. Hugo is interested in asylum and refugee law, and legal responses to climate change, and acts pro bono for several NGOs in these fields. Prior to transferring to the bar, Hugo was as an Associate in the London office of Dechert LLP, in the International Disputes section, with an extensive practice in complex trans-national commercial litigation and arbitration. Hugo originally qualified in Western Australia, where he regularly appeared in superior courts, including the High Court of Australia. Hugo is a Visiting Lecturer in Transnational Litigation at King’s College London. Hugo is regularly instructed to advise and act on EU and competition matters, contentious, regulatory and non-contentious. He has appeared in a series of heavy trials raising complex factual and legal issues, on the claimant and defendant side, and for the regulator. With Kelyn Bacon QC he is the author of the chapter “Litigating Decisions of Regulatory Authorities” in Manley and Vickers, Navigating European Pharmaceutical Law (OUP, 2015). Tesco v Mastercard, Morrison’s v MasterCard and Sainsbury’s v Mastercard (among The Lawyer’s Top 20 Cases for 2016): follow-on damages claims in the CAT and the Commercial Court relating to credit card interchange fees (acting for MasterCard, led by Mark Hoskins QC). Consolidated appeals from three separate trials relating to interchange fees, to be heard by the Court of Appeal in April 2018. Appearing for the Competition and Markets Authority in Pfizer/Flynn, defending the CMA’s finding of excessive pricing for pharmaceuticals and the fines imposed (led by Mark Hoskins QC). Appearing for the claimant in the first cartel follow-on damages claim leading to a completed trial, in BritNed v ABB (with Robert O’Donoghue QC). Merricks v Mastercard: the successful defence of collective proceedings in the Competition Appeal Tribunal seeking in excess of £10 billion in damages (top of The Lawyer’s Top 20 Cases for 2017 – led by Mark Hoskins QC). Micula v Romania: proceedings in the Commercial Court to enforce an ICSID arbitral award said by the European Commission to involve State aid (led by Marie Demetriou QC). An application for damages for breach of EU law against the European Council, in Bank Tejarat v Council (led by Tim Otty QC). Providing written and oral evidence to the House of Commons Foreign Affairs Committee on Brexit (with Professor Derrick Wyatt QC). Advising a major UK bank on compliance with EU rules concerning unfair contractual terms (with Mark Howard QC). Advising on compliance with EU sanctions rules. Advising on compliance with the Commercial Agency Regulations. Advising a consortium of bondholders on EU law issues arising from the restructuring of a bank (with Kelyn Bacon QC). Advising on the effect of the collective actions regime under the Consumer Rights Act 2015. Advising on challenges to decisions of pharmaceutical regulators. Advising regulators and business on the application of EU rules on consumer protection and freedom of establishment to online traders (with Kelyn Bacon QC). Hugo has broad experience of commercial litigation and arbitration and of advising on commercial matters. SCC arbitration arising from disputes over long-term gas supply contracts in Eastern Europe (instructed by Freshfields Bruckhaus Deringer). LCIA and ICC arbitration arising from disputes over a series of international trade contracts for the supply of machinery. 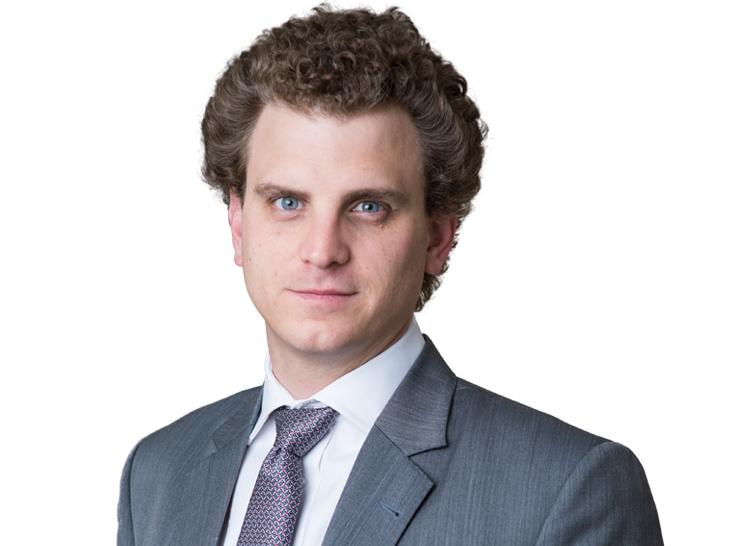 Blue Tropic Ltd v Chkhartishvili – an action in the Chancery Division over asset transfers between offshore companies (led by Jonathan Crow QC and Stephen Midwinter QC). Union Marine v Comoros - claims under the Arbitration Act 1996 challenging an award (led by Michael Brindle QC). LCIA arbitration involving issues of state immunity, choice of law, and breach of fiduciary duties (led by Mark Howard QC). A range of contractual claims in the County Court. Defences to the enforcement of foreign judgments in England and Wales (with Mark Howard QC). Validity of standard form terms in banking agreements. Exclusion clauses in P&I insurance for shipowners. The enforcement of guarantees and the conflict of laws in banking law disputes. Disputes concerning the sale of allegedly defective goods. A judicial review in Jersey (followed by appeals in the Jersey Court of Appeal and the Privy Council) of a cross-border tax investigations, raising issues under the privilege against self-incrimination (with Paul Bowen QC). Appeals against penalties imposed under the Aviation Greenhouse Gas Emissions Trading Scheme (with Martin Chamberlain QC). Kelyn Bacon QC and Hugo Leith, “Litigating Decisions of Regulatory Authorities”, in Manley and Vickers, Navigating European Pharmaceutical Law (OUP, 2015).